The main focus of this report report is to analysis Credit Risk Management of Jamuna Bank Limited. General objectives of this reports are to have exposure to the credit operation and other function of Jamuna Bank Limited, to have a clear understanding of the business operation of Jamuna Bank Limited, to discuss the services offered by Jamuna Bank Limitcd, to assess and evaluate the growth trends of Jamuna Bank Limited, to evaluate the profitability of Jamuna Bank Limited and to identify the major strength and weakness of Jamuna Bank Limited in respect to other banks. To have exposure to the credit operation and other function of Jamuna Bank Limited. To have a clear understanding of the business operation of Jamuna Bank Limited. To discuss the services offered by Jamuna Bank Limitcd. To assess and evaluate the growth trends of Jamuna Bank Limited. To evaluate the profitability of Jamuna Bank Limited. To identify the major strength and weakness of Jamuna Bank Limited in respect to other banks. 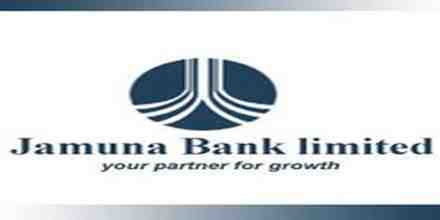 To recommend ways and means to solve problems regarding banking of Jamuna Bank Limited. The banking industry in Bangladesh is one characterized by strict regulations and monitoring from the central governing body, The Bangladesh Bank. As the government is often the owner and regulator as well as the supervisor and customer of a bank, there has been ample opportunity for mismanagement over the years. The banking sector is plagued with a lack of credit discipline, archaic loan recovery law, corruption, inefficiency, overstaffing, etc. Several reform measures of the financial sector have been taken to improve the situation. Relative stability achieved by the support extended by both the central bank and the Government of Bangladesh in the past has restored public confidence in the country’s banking sector. Moreover, Nationalized Commercial Banks (NCBs) and old generation Private Commercial Banks (PCBs) would have to lower the rate of NPAs in their portfolios. Failure to do so would mean re-capitalization, at least for the NCBs. This may in turn lead to a further drain on the limited resources of the Government of Bangladesh at this time or in the immediate future this re­capitalization would not be feasible. With these conditions in place, the World Bank anticipates the likelihood of a situation where the ever-increasing burden of non-performing loans and growing rate of debt servicing would place the economy under enormous strain and result in a crisis in the banking sector in the long term. The main concern is that currently there are far too many banks for the bank to sustain. As a result the market will accommodate only those banks that can transpire as the most competitive and profitable ones in the future. Jamuna Bank Limited is one of the leading private commercial banks in Bangladesh that has achieved tremendous popularity and credibility among the people for its products & services. It is a public limited company and its shares are traded in Dhaka and Chittagong stock exchange. The bank undertakes all types of banking transaction to support the development of trade and commerce in the country. JBLs service is also available for the entrepreneurs to set up new ventures and BMM-,, of industrial units. To provide clientele services in respect of international trade it has established wide, corresponded Banking relationship with local and foreign banks covering major trade and financial interest home and abroad. Jamuna Bank Limited (JBL) is a Banking Company registered under the Companies Act 1994 with its Head Office at Printers Building, 5 Rajuk avenue Dhaka-1000. The bank started its operation from 3rd June 2001. Jamuna Bank Limited (Jf31,) is a highly capitalized new generation Bank with an Authorized capital and paid-up capital of Taka 1600.00 million and Tk 390.00 million, Paid up capital of the Bank raised to Tk.429 million as of December, 2005 and the number of branches raised to 29.Thc bank gives special emphasis on export, import, trade finance SME finance Retail credit and finance to woman Entrepreneurs. Employees of JBL share certain common values, which helps to create a JBL culture. Openness to new ideas &new methods to encourage creativity. In 2006 Jamuna Bank Limited posted an operating profit of Tk.701.32 million as against Tk.419.94 million in 2005 with a spectacular growth of 67.00 percent over the preceding year. After having made necessary provisions for loans and advances in accordance with the instructions of Bangladesh Bank Net Income Before Tax (NIBT) stood at Tk.499.97 million in the year under review against Tk.363.31 million in the preceding year registering a growth of 37.62 percent. An amount of Tk. 246.57 million has been kept as provision for payment of Tax. Thus Net Income after tax and provision stood at Tk.253.40 million in 2006 which was Tk.199.82 million in 2005. The Bank adopted BIS risk adjusted capital standards to measure the capital adequacy in line with set by Bangladesh Bank. According to the instructions contained in Bangladesh Bank’s BRPD Circ dated September 07, 2002 relating to Capital Adequacy every commercial bank operating in the required to maintain at minimum 9 percent of its risk-weighted assets as capital. From the table it reveals that Jamuna Bank Limited was able to increase its core capital by 93.58 percent from Tk.807.14 million to Tk. 562.47 million and supplementary capital by 27.47 percent from Tk.1 09.32 million to Tk. 39.35 million and total capital by 85.69 percent from Tk.916.46 million to Tk.1 701.82 million. The Bank made its mark in Treasury operation. In money market the Bank played active role in local and foreign currency. Besides, it carried on operation as Primary Dealer. Having participated in local currency and foreign currency market and taken part in secondary trading of Govt. securities the Bank made significant growth. It would not be out of place to mention that Jamuna Bank Limited was the only third generation bank, which was selected as Primary Dealer by Bangladesh Bank owing to its excellent performance in money market. Treasury operation has been identified as one of the best sources for earning by the Bank through effective participation. JBL’s dealing room is well equipped with modern and updated equipments like voice recorder, Reuter 3000xtra, CDBL electronic system etc. The activities of FX and local money market have been synchronized with complete segregation of activities of front and back offices. Intensive monitoring is ensured by the Bank’s Asset Liability Management Committee (ALCO) which sits in regular meetings to review the asset liability position and interest rates and takes important decisions thereon. In the year 2006 there was a bit volatility in the local money market sometime in March-April but this market .vas more or less stable with a little fluctuations in interest rate during most of the time of the year. On the contrary, FX market was to a great extent volatile in 2006 having pressure on Taka against dollar. But our professionally skilled human resources were quite tactful in handling operations and could reap the benefits of local money market and FX market with significant growth. They were prudent enough to maintain the regulatory requirements of CRR and SLR of the Bank. In commercial banks operation starts with mobilization of resources i.e. tapping of deposits and then the said resources are deployed as loans, advances and investments for the purpose of maximizing wealth which -sans deposits have dominance in commercial bank’s operations. That is why, there is a common saying that deposit is the lifeblood of a bank. In keeping with this axiom JBL attaches utmost importance to the deposit mobilization campaign and to the optimal deposit mix for minimizing COF as far as practicable. A stiff competition persisted in the market as to deposit mobilization and there was a pressure on interest rate. 3esides, instability in political atmosphere was adversely affecting business, which stood as a hindrance to the smooth operation of banks including deposit mobilization. Despite all these unfavorable factors JBL was able to instill confidence in customers as to its commitments to the depositors and borrowing customers and thereby could mobilize a total deposit ofTk.17284.81 million in 2006 against that ofTk.14454.13 million in the preceding year showing an increase of Tk.2830.68 million being 19.58 percent. Endeavor is underway for augmenting low cost deposit by accommodating good customers at competitive price. For healthy growth of business JBL puts emphasis on no cost and low cost deposit all the time. Though there was an unfavorable business environment due to political turmoil throughout the year JBL was in constant efforts to explore different areas of credit operation and could raise the credit portfolios to Tk.12796.63 million in 2006 with an increase of Tk.1784.80 million (16.21%) over that of the preceding year. The total credit as on 31.12.05 was Tk.11011.83 million. In order to ensure compliance with regulatory requirements for avoiding risk of exposure to single borrower, concentration on large loans, to bring in excellence in credit operation in relation to risk management, yield, exposure, tenure, collaterals, security valuation etc. JBL strived for further diversification of credit portfolios. It’s credit facilities were concentrated on Trade Finance, Agriculture and related sector, project finance, wholesale and retail trade, transport sector, hospital & diagnostic centers and syndicate financing for big projects, capacity additions to the manufacturing sector and structured financing for developing infrastructure of the country. Initiatives are underway for helping small and medium entrepreneurs in the ventures for which, in JBL, we are developing SME credit products and strategies. JBL has also increased lending activities to small consumers through Consumer Credit Scheme. As a regulatory body Bangladesh Bank wants all banks to take effective measures for implementation of risk management in banking operations covering the major risks in asset-liability management, credit risk management, Foreign Exchange Risk Management, Internal Control & Compliance and Money Laundering Prevention. As these risks are integral parts of banking business JBL has put highest priority on management of such risks with intense monitoring of credit portfolios. We believe these will improve our operational and financial performance along with meeting the regulatory requirements. The Bank is in constant efforts to establish superior monitoring of credit risks and returns. For bringing in harmonious matching between assets and liabilities ALCO reviews these on a regular basis for keeping risk in this area to an acceptable level. The Bank’s credit policy guidelines and procedures are continuously reviewed and upgraded by its internal committees. The Bank also pursues an effective internal control system by establishing systems and procedures for scrutinizing the transactions periodically, encompassing key back-up supports and commissioning regular contingency plans. Through establishment of proper governance structure risk and returns are evaluated with a view to producing sustainable revenues, reducing volatility in earnings and enhancing value to shareholders. Maintenance of quality of assets is always the key issue to the JBL Management. Continuous efforts are made to maintain earning assets at the highest possible level so as to maximize profits and minimize cost of operation. The investment portfolio of the Bank as on 31.12.2006 rose to Tk.2552.67 million from Tk.2037.84 million as on 31.12.05 registering an increase of Tk.514.83 million being 25.26 percent. The investment portfolio was blended with Government treasury bills amounting to Tk.345.88 million, Treasury Bonds of Tk.1939.78 million, investment in primary shares and Zero Coupon Bonds. Its investment was made in acquisition of Preference Shares of (5.00-2.50) 2.50 million of After Automobiles Limited. Besides, Tk.2.00 million has been invested in acquisition of two shares of Central Depository Bangladesh Limited (CDBL). The Bank’s major portion of investment is in Govt. Treasury Bills and Bonds for the purpose of fulfilling Statutory Liquidity Requirement. The total import business handled by the Bank in 2006 was Tk.15457.80 million compared to Tk.12151.90 million in the preceding year registering a rise of Tk.4305.80 million being 27.20 percent. A sizeable L/C’s were also opened by the Bank in the year under review. The import items included industrial raw materials, machinery, consumer goods, fabrics, accessories etc. The Bank handled export business worth TO 1583.70 million in the year under report. In 2005 total export business handled by the Bank was Tk.6521.80 million. Thus there was an increase of Tk.5061.90 million in export business handled by the Bank, being 77.62 percent over the preceding year. The major export item was Ready-made Garments. This section lends the fund what the bank mobilizes through its various deposit accounts. This is the second function of banks two generic function -deposit mobilization and credit creation. The major part of banks income is derived from credit and since the banks credit is customer’s fund, bank takes extreme caution in lending. To have a clear idea about the credit management of JBL the following points are essential. JBL Credit Policy contains of total macro-economic development of the country as a whole by way of providing financial support to the trade, commerce and industry. Throughout its credit operation JBL goes to every possible corners of the society. They are financing large and medium scale business house and industry. At the same time they also take care entrepreneur through its operation of lease finance and some micro credit, small loan scheme etc. The bank has come up with a scheme where women will be 91% financial support for their self employment and development. Delegated powers are expected to be exercise by the authorized executives sensibly keeping the bank’s interest in mind. In exercising the power so delegated authorized executives shah also have credit restriction, tools and regulations .as governed by Banking Company Act, Bangladesh Bank, and other usual credit norms . However, the following guidelines are laid down before the executives of JBL for exercising the delegated power. The borrower must be a man of integrity and must enjoy good reputation in the market. The borrower must have the capacity and capability for utilizing credit properly and profitably. A customer to whom credit is to be allowed should be far as possible within the command area. No sanctioning officer can sanction any credit to any of his near relatives and to any company where his relatives have financial interest. Character: Make sure that the individual or company they are lending has outstanding integrity. Capacity: Make sure that the individual or company they are lending has the capability of repaying the loan. Condition: Understanding the business and economic conditions that whether it will change after the loan is made. Capital: Make sure that die individual or the company they are lending has in appropriate level of investment in the company. Collateral: Make sure that there is a second way out of a credit but do not allow that to drive the credit decision. Complacency: Official do not rely on past. They remain alert every time whether any mistake is taking place or not. Carelessness: They believe that documentation, follow up and consistent monitoring are essential to high quality loan portfolio. Communication: They share credit objectives and credit decision making both vertically and laterally within the bank. Contingencies: Make sure that they understand the risk, particularly the downside possibilities and that they structure and price the loan consistently with the understanding. Competition: They do not get swept away by what others are doing. Lending Risk Analysis is a financial tool to analyze the risk associate in a loan proposal. According to Bangladesh Banks order every bank has to conduct LRA. For every loan amounting Tk. I Core and above. JBL is frequent user of this technique. JBL is a unique characteristic in its loan management to make sure that there will be no bad loan in its-loan portfolio, JBL established a loan monitoring and supervision cell headed by an First Assistant Vice President. He along with other official frequently visit customer premises or business whether loan amount, which is taken is used properly or not. Sometimes customer need more fund or ether types of facilities to run business profitably, then the monitoring authority takes necessary steps to meet customer’s need. Each of the above-mentioned key risk areas require be evaluating and aggregating to arrive at an overall risk grading measure. Risk that counter parties will fail to meet obligation due to financial distress. This typically entails analysis of financials i.e. analysis of leverage, liquidity, profitability & interest coverage ratios. To conclude, this capitalizes on the risk of high leverage, poor liquidity, low profitability & insufficient cash flow. Risk that adverse industry situation or unfavorable business condition will impact borrowers’ capacity to meet obligation. The evaluation; of this category of risk looks at parameters such as business outlook, size of business, industry growth, market competition & barriers to entry/exit. To conclude, this capitalizes on the risk of failure due to low market share & poor industry growth. Risk that counter parties may default as a result of poor managerial ability including experience of the management, its succession plans and teamwork. Risk that the bank might be exposed due ‘:o poor quality or strength of the security in case of default. This may entail strength of security & collateral, location of collateral and support. Management Risk: Experience, Succession & Team Work. Security Risk: Security Coverage, Collateral Coverage and Support. Relationship Risk: Account Conduct, Utilization of limit, compliance of Covenants/conditions & Personal Deposit. There are some common regulations governed by Banking Company Act, 1991 Bangladesh Bank and the law of the State, which has to be followed strictly at the time of screening a credit proposal. In addition. Credit proposals are appraised critically by JBL credit officials from various angle to judge the feasibility of proposal. The customer at the branch of the bank place credit proposals. When a customer comes with accredit proposal, the credit department officials of the branch make an open discussion with the customer on different issues of the proposal to judge. Worthiness of tile proposal and customer. If the proposal scenes worthwhile in all aspect then the proposal is placed before credit committee of the bank. After threadbare discussion, if the committee agrees in principle the proposal is sanctioned as per the delegated business power of the branch. However, if the magnitude of the proposal is beyond the delegated business power of the branch they forward it to the Head Office with, sanction of approval. On receiving proposal, the Credit Division of Head Office places the proposal in the Head Credit Committee. The committee further analyzes proposals critically and if agree in principle they sanction the same as per delegated business power. Again if the merit and magnitude of the proposal is beyond the delegated business power of the Head Office Credit Committee or Managing Director forward proposal to the Board of the Bank with recommendation for approval. If the proposal is found unviable at the branch level they decline the same from their desk. In the same way, proposals are also declined from the Head Office Credit Committee and from Board if it is not feasible. It is essential that the proposals define clearly the purpose of. the sources of repayment. The agreed repayment schedules the value of security (land, machinery security papers, bond, sanchay patra etc.) and the customer relationships consideration implicit in the credit division in where the security is to be accepted as collateral for the facility all documentation relating to the security shall be in the approved from. All approval procedures and required documentation shall be completed and all securities shall be place prior to the disbursement of the facility. The borrower is requested to submit the above-mentioned papers in original for Verification by the Bar-1n lawyer and creation on the property intended to mortgage against advance. A document is a written statement of facts of proof. or evidence arising out of particular transaction, which on placement may bind the parties there to answerable and liable to the law for satisfaction of the charge in question. The execution of documents in proper from and according to the requirements of the law is known as documentation. The documentation does establish a legal relationship between the lending bank and the borrower. The terms and conditions of loans and advances, the securities charged and the repayment schedule are recorded in writing Proper documentation is necessary to safeguard the future interest of the bank. Letter of Lien and transfer authority (in case of advance against PSP, SSP etc. Demand of Promissory (D.P) Note. Letter of partnership (incase of partnership concern) or resolution of the board of Directors (in case of Limited Concern. All required Documents as mentioned before should be obtained before any loan is disbursed. Disbursed of any credit facility requires approval of the component authority that should ensure before exercising such delegated authority that all the required documentation have been completed. The man functions of a commercial bank are tow:1) to take deposit and 2) to make advance. Making advance is the most important function of a bank. The is expends the profitability of the bank. Moreover, Bank make advance out of the deposits to the public which are payable at demand. A Commercial Bank makes advances to different sectors for different purpose i.e. financing of trade and commerce, Export and import, industries Agriculture, Transport, House-Building etc. (Hypo) of goods on which charge of lending bank is created. Identify that whether the goods are ready saleable and whether they have good demand in the market. Cash credit allowed pledge of goods is known as “Cash credit (Pledge). For Cash Credit (Pledge) the borrower pledges his goods to the bankers as a security against the credit facility. The ownership of pledge goods remains with the pledged. The bank remains the effective control of the pledged goods. Pledged goods can be stored in the custody of borrower but under lock and key of the bank. Banks appointed guards are take care of those goods round the clock. The banks delivered the pledged gods to the party by turns against payment. For Cash Credit Pledge following points arc taken into consideration before allowing. Whether the quality of goods is ascertained. Whether the goods are easily saleable and those goods must have good demand in the market. The quality of goods is ensured. The goods cannot be perishable and will not deteriorate in quality as a result for short and long duration. The borrower has the absolute title of goods. The prices of the goods have to steady and are not subject to violent change. Goods should be stored in the presence of a responsible bank office. Ensure that stocks are duly insured against fire, burglary, with bank clause. Stocks must be invocated regularly by responsible bank office. The locks of the store are scaled and keys are kept in the bank. The overdraft is always allowed on a special A/C operated upon cheques. The customers may be allowed a certain limit up to which he can overdraw within a specific period of time. In an overdraft A/C withdrawal and deposit can be made any number of times within the limit and prescribed period. Interested is calculated and charged only on the actual debit balances on daily product basis. Temporary overdraft (TOD) is allowed to honor cheques which is future dated for the valued client . without any prior arrangement. This kind of facilities is provided for short time. Sometimes Overdrafts are allowed with no other security except personal security of borrowers. To businessman for expansion of their business. To contractors and suppliers for carrying construction works and supply orders. Mortgage on real estates and properties. PAD is generally granted to importer for import of goods. This kind of arrangements is allowed for purchase of internal bills. Some times Contractors need money to his liquidity problem. To avoid thus kind of situation they want to take loan against their future dated cheque. Internal Bills Purchased is usually provided for future dated cheque against some service charge before 21 days of the maturity date. This is as similar as CC Pledge. But these loans are provided to the selected customers with internal contract. This loans only fur old and some special customers. Under this arrangement, credit is allowed against trust receipt and the exportable goods remain in the custody of exporter but he is required to execute a stamped export trust receipt in favor of the bank. Where the declaration is made that he holds Purchased with financial assistance of the bank lit trust for the ‘bank. LTR is generally granted to exporter for exportation of goods. Interest Rate: 16 % per annum. Under this arrangement, credit is allowed for exporter for or exportable goods. Banks provide all the agency commission. Its pay back period is 21 days. LDBP/FDBP is generally granted to exporter for exportation of goods. Issuing letter of credit is one of the important services for JBL. A letter of credit is a document authorizing by the bank for a specific amount of money. Two types of L/C are provided by JBL. It should bear the name of the designed bank. Item mentioned in the LCA form must contain with the permissible item. The feature of hire purchase is that borrower pays his remaining amount over a period of 6 month to 2 years & some times more then 2 years. For this kind of credit tic goods, which has been purchased, registered to the bank- as owner. And after end of final payment goods are registered to owner formally. Hire purchase facility is allowed to [hose people who have either fixed source of income or desire to pay it in lump stun. When an advance is made in a lump sum repayable either in fixed monthly installment or in lump sum and no subsequent debit is ordinarily allowed except by way in interest and incidental charges etc. This is loans (general). Loan is allowed for a single purpose where the entire amount may be required at a time or in a number of installments within a period of short Spam. After disbursement of the entire loan amount, there will be only repayment made by the borrower. Loan once repaid in full or in part cannot be drawn again by the borrower. Entire amount of the loan A/C in the name of the customer and is paid to hen through his SB/CD A/C. Sometimes loan amount are disbursed in cash. This loan is repayable within few months or few years. Jamuna bank Ltd. is the first private commercial bank, in Bangladesh who introduced the following lease finance facilities for funding requirement of valued customers & growth of their business. Vehicles like luxury bus, Mini bus, Taxi Cabs Cars, Pick-Up Van Etc. Machinery for agro based industry. Sea or river transport and computer for IT education center. Credit risk grading is an important tool for credit Risk management as if helps the Banks & financial institutions to understand various dimensions of Risk moved in different credit (transactions. The aggregation of such grading across the borrowers, activities and the lines of business can provide hello assessment of the quality of credit portfolio of a bank or a branch The credit risk grading system is vital to take decisions both al the pre-sanctum stage as well as post-sanction stage. At the pre-sanction stage, credit grading helps the sanctioning authority to decide whether to lend or not to lend, what should be the loan price what should be the extent of exposure, what should be the appropriate credit facility what are the various facilities are the various risk mitigation tools to put a cap on the risk level. At the post-sanction stage, the bank can decide about the depth of the review or renewal, frequency of review, periodicity or the grading and other precautions to be taken. Bangladesh Bank expects all commercial banks to have a well-defined credit risk management, which delivers accurate, and timely risk grading. This manual describes file elements of an effective internal process for grading credit risk. It also provides a comprehensive but generic discussion of the objectives and general characteristics of effective credit risk grading system In practice a banks credit risk grading system should reflect the complexity of its lending activities and the complexity of risk involved. Credit Risk grading is the basic module for developing for developing a credit risk management system. The credit risk grading matrix allows application of uniform standards to credits to ensure a common standardized approach to assess the quality of individual obligor, credit portfolio of aunt, line of business, the branch of the Bank as a whole. As evident, the CRG outputs would be relevant for individual credit selection, wherein ether a borrower or a particular exposure/facility is rated. The other decisions would be relative to pricing (credit-spread) and specific feathers of the credit facility. These would largely constitute obligor level analysis. Very good management skill &, expertise. Credit facilities fully covered by N, the guarantee of a top tier local Bank. These borrowers arc not as strong as COOD Grade borrowers, has still demonstrate consistent earnings, cash flow and have a good back record. Credit in this grade would normally be secured by acceptable collateral (its charge over inventory / receivables / equipment / property). These borrowers have an above average risk due to strained liquidity, higher than normal leverage, thin cash flow and/or inconsistent canings. Weaker business credit &’ early warning; signals of emerging business credit detected. Account conduct is poor, or other untoward factors arc present. This grade has potential weaknesses that deserve• management’s ‘s close attention. If left uncorrected, these weaknesses may result in a deterioration of the repayment prospects of the borrower. Facilities should be downgraded to this grade if sustained deterioration in financial condition is noted (consecutive losses, negative net worth, excessive Leverage. An Aggregate Score of 55-64 based oil the Risk Grade Score sheet. Full repayment of principal and interest is unlikely and Hic possibility of loss is extremely high. However, due to specifically identifiable pending factors. Such as litigation, liquidation procedure or capital injection, the asset is not yet classified as Bad & loss. An Aggregate Score of less than 35-44 based on the risk grade score sheet. Prospect of recovery is poor and options have been pursued. Proceeds expected from the liquidation or realization of security may be awaited. The continuance of the loan as a bankable asset is riot warranted, and the anticipated loss should have been provided for. This classification reflects that it is not practical or desirable to defer writing off this basically valueless asset even though partial recovery may be affected in the future, Bangladesh Bank guidelines for timely write off of bad loans must be adhered to. Legal procedures /suit initiated. An Aggregate Score of less than 35 based on the Risk Grade Score Sheet. The management of problem loans (NPLs) must be a dynamic process, and the associated strategy together with the adequacy of provisions muss be regularly reviewed. A process should be established to share the lessons learned from f1w experience of credit losses in order to update the lending guidelines. There must be a clear allocation of responsibilities authority and accountability. Now a day’s on-line banking is not a very uncommon service totally for private commercial bank. JBI, provide On-line banking service but they take source charge for it, if the customers do not use his/her mother branch. To encourage customers to use On-line banking facility this service charge should not be taken charge from the customers. Foreign exchange operations of other banks are more dynamic and less time JBL should take some initiative to compete with those banks. Selection and training must be focused to develop and exploit leadership and entrepreneurial qualities within the work place. Beside social work the bank have to be more serious to get better position in CAMEL retting. As an organization the Jamuna Bank Limited has earned the reputation of top banking operation in Bangladesh. The organization is much more structured compared to any other banks operating local or foreign in Bangladesh. It is unyielding in pursuit of business innovation and improvement. It has a reputation as a partner of consumer growth. With a bulk of qualified and experienced human resource, Jamuna Bank Limited can exploit any opportunity in the banking sector. It is pioneer in introducing many new products and services in the banking sector of the country. Moreover, in the overall-banking sector, it is unmatched with any other banks because of its wide spread branch networking thought the country. This report tries to figure out most of the indicators of problems and strengths of Jamuna Bank Limited as a valid pretender in the competitive banking sector of Bangladesh. A severe cut throat competition is going on currently in this sector and that’s why Jamuna Bank Limited has to work out with different dimensions like – product diversification, market forecasting, proactive activities undertaken by Jamuna Bank Limited and some suggestion to get rid of the predicaments that exist.